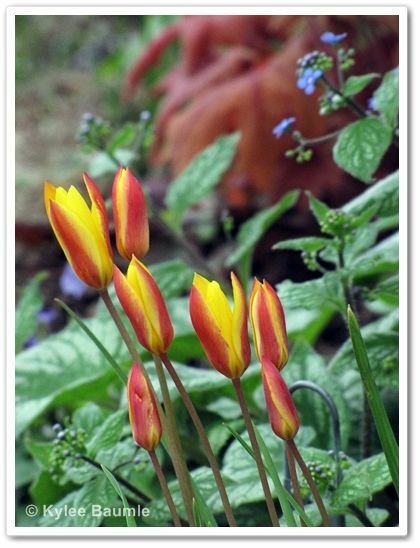 Our Little Acre: Species Tulips: You Can Grow That! In general, I'm a perennial type of girl, being the most pleased over the reliable hard workers in my garden that get bigger and better each year, without a lot of care from me. Oh, who am I fooling? I get excited over any tree, shrub, plant, or bulb that catches my eye for any number of reasons. But this time of year, it's the bulbs that get my attention. 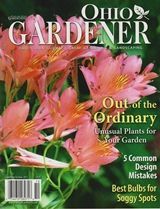 Two autumns ago, I got into a friendly bulb planting frenzy with Christopher Tidrick (From the Soil), and we both ended up planting over 1000 spring bulbs. Each. It was a friendly competition - the kind where both people win. We had fun watching the succession of blooms that ushered in the long-awaited spring. 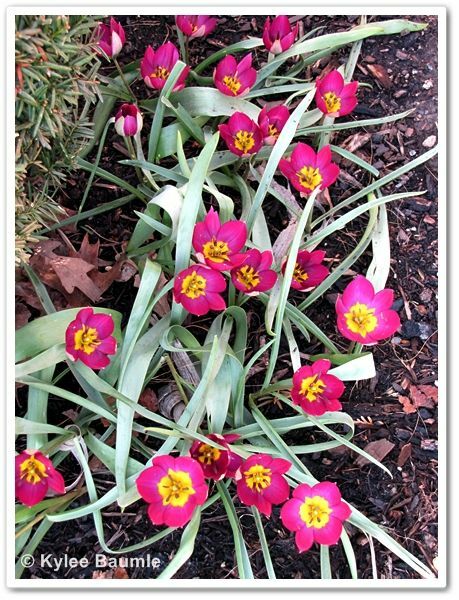 I was never much for tulips - the hybrid types - until I made my first pilgrimage to Holland, Michigan in 2010 for the annual Tulip Festival. 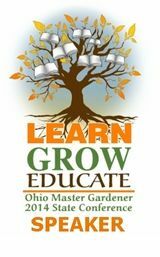 We hit it just right that year, with the mid-season bloomers in full swing and the late-seasons just beginning. It was glorious. I know this will come as a shock to some of you, but tulips didn't originate in The Netherlands. 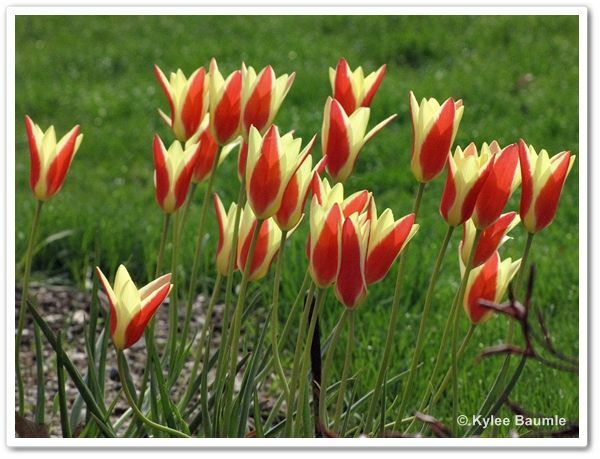 And the species tulips don't look like their hybrid descendants, though they do resemble them. They're much smaller and the foliage is more grass-like than the big-leaved, large-bloomed hybrids. 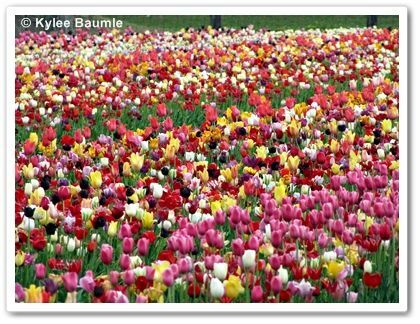 There are 16 divisions of tulips, and species tulips are grouped in Division 15. They can be grown in Zones 3-9, depending on the variety. See? You can grow that! 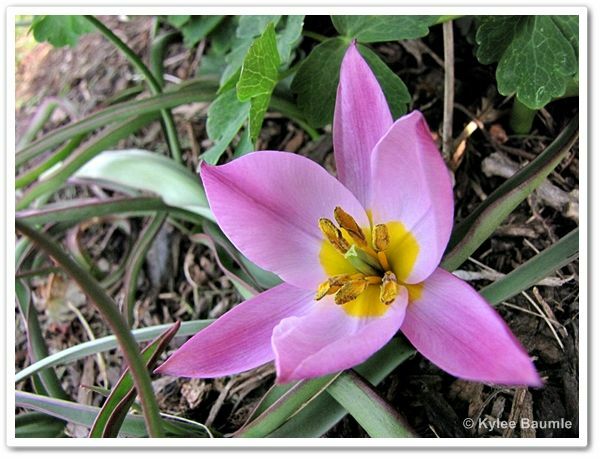 Species tulips are native to the higher elevations of what is now Turkey, as well as northern Africa and central Asia. 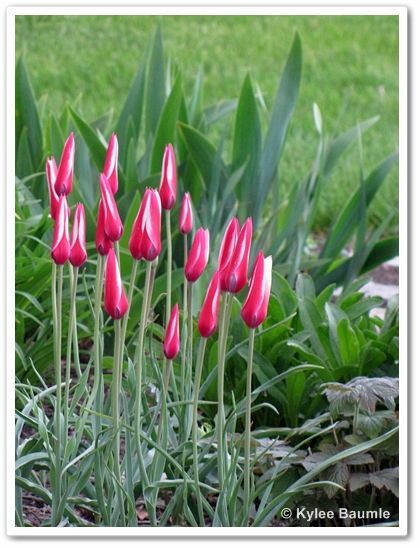 In fact, tulips didn't arrive in The Netherlands until the 16th century, when they began hybridizing them. Then, in the 1630s, the tulip became so prized that it became a means of currency and the phenomenon known as Tulipomania began. Fortunes were made and lost on the tulip during that decade. 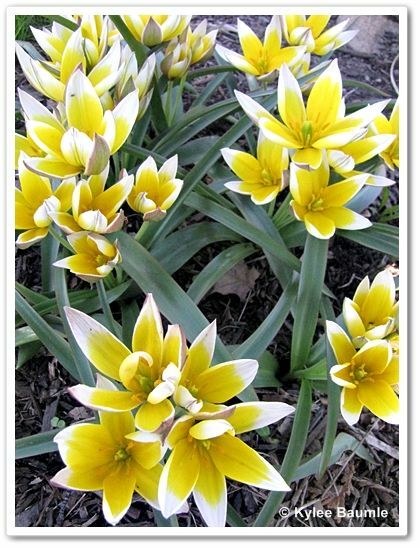 I discovered species tulips about five years ago and I fell in love with them. The colors are vibrant, the diminutive blooms are charming, and they return and naturalize quite reliably in my Zone 5b garden. Today, I have somewhere around a dozen different varieties of them. 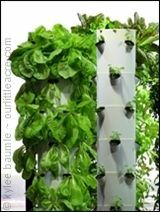 You Can Grow That! 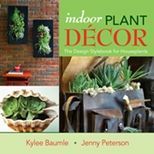 is a blogging meme begun by C. L. Fornari (of Whole Life Gardening), in which bloggers post about a favorite plant, a favorite gardening activity...anything that encourages others to just grow something! Join in on the 4th of each month! Your tulips are beautiful. Do you have deer problems? I don't plant them b/c I can't bear to see the deer gobble them up! Hi, Jennifer! No, we don't generally have problems with deer, even though they're all around us, in numbers. We see them in the field behind the house and then I get out the deer repellent. So far, we've just not had issues with them, but I know that could change in an instant! I think maybe we have too many other animals around for them to venture too close. Like the outside cats and of course now the chickens. I love all of the different colors! When I was growing up, we only had a few random yellow ones that popped up here and there. I didn't realize the broad spectrum of colors they could be. 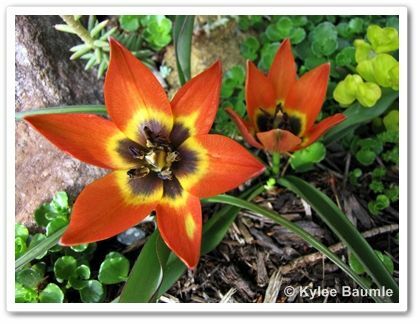 I love that there are species tulips for just about every climate, too. And I think many have much more interesting flowers than the cultivated types. Love your photos! Those species tulips are gorgeous. You have a lot to look forward to over the next little while. I planted a number of bulbs in the fall also, so can't wait to see how they turn out. Tulips are my favorite. There's just something about them. Yours are beautiful! I have some Tinkas in my yard too. They are so pretty all snuggled up and closed for the cold night. Then when they open up for the sun...pretty. The yellow tulips are super. Great shot. 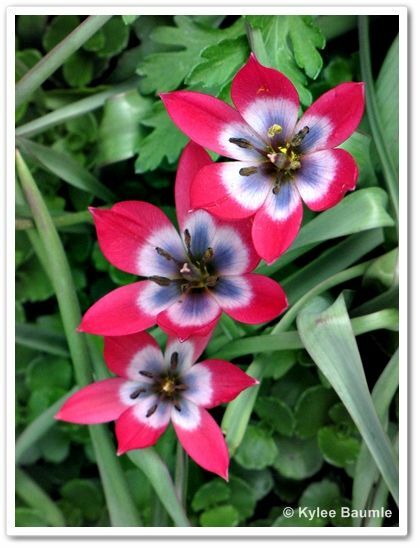 I've never been one for hybridised tulips, but I love those little species tulips - those I could plant! I knew about tulipmania, but didn't know the tulips didn't originate in The Netherlands, so thanks for that...maybe I can win quizzes with that snippet of information?! Great post, Kylee! 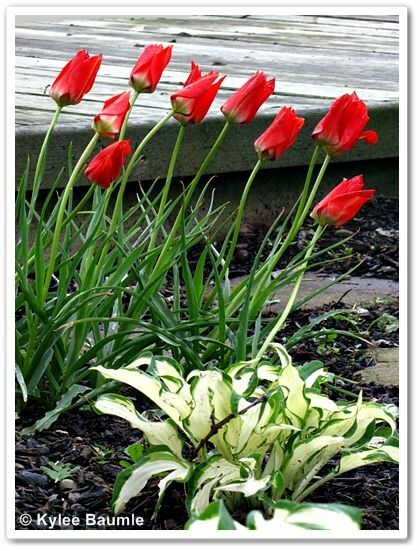 I received a free "bonus" pack of "mystery bulbs" when I placed a bulb order in the early fall of 2010. They turned out to be a lovely yellow species tulip, and I too am in love! I love species tulips and yet I have none. I must correct that. Well, I just learned something new! 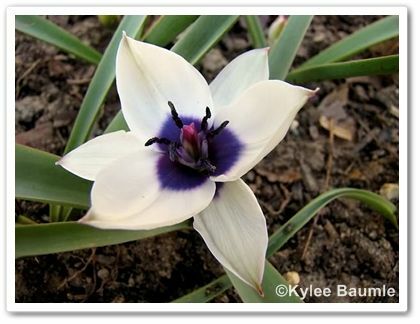 Never knew about the species tulip. 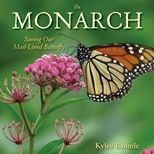 Thank you, Kylee!!! 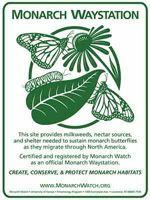 All these species also come back reliably here in central Alabama too!